How to sell your house and buy another one without stressing out. How come selling one house and moving into another one is so stressful? Many times it's because we make decisions that are very hard to fulfill. For example, if you want to sell your house and move into another one, whether it's larger or smaller, how come we want to buy the next house first and then sell ours? Of course REALTORS(r) can accommodate this scenario by using a contract that stipulates that the buyer doesn't have to buy their next house unless their existing house sells. What if it doesn't? What if there's another buyer for that new house who will pay all cash and close escrow quickly? Could you lose your target property while waiting for your house to sell? And if you lose the target property, does that mean you take your existing house off of the market? Even if the two homes close concurrently, is there enough time to move your stuff? Our clients don't usually have to face these painful scenarios because we believe in one thing: don't bet your future on the unknown. Deal with what is KNOWN now. Don't put your home for sale unless you know you'll be moving in your heart. In other words, the move is part of a bigger life plan, not just a whim. To buy another house without having your home sold or at least in escrow can be folly. Instead, why not sell your home, have the money in the bank and then look for a house to buy. This is critical in a tight inventory marketplace. Just think of the power of your story to a prospective home seller. Story 1: I'll buy your house contingent upon my putting my house on the market; maybe it will sell, maybe not. Story 2: My house is already on the market and we've had a few showings, but no offers. Story 3: My house is in escrow and will close in 30 days. Story 4: my house has closed escrow and my money is in the bank. Put yourself in the seller's shoes. Which of the above stories sounds best to you? Story number 4 sounds the least risky. And, if you're competing with other potential buyers, wouldn't you want #4 to be your story? That certainly would improve your odds of having your offer accepted. So here's the bottom line the way I see it. Be confident you're moving no matter what. Put your home on the market. When it goes into escrow or closes escrow, begin your home search. You'll be able to make good reasonable offers then. Where do you live in the meantime while you're looking for your next home? Some of my clients negotiate 30 days in their existing house after close of escrow to give them time to look. Some move in with relatives. Some rent a room or house short term while they look. Some rent for 6 months or more so that they can not only buy a house, but have lots of time to fix up the new house and calmly move in without rushing. So, here's the question for you. Which REALTOR(r) will you hire to represent you: The one who puts you under great stress, or the one that calmly works with you on moving to your next house? 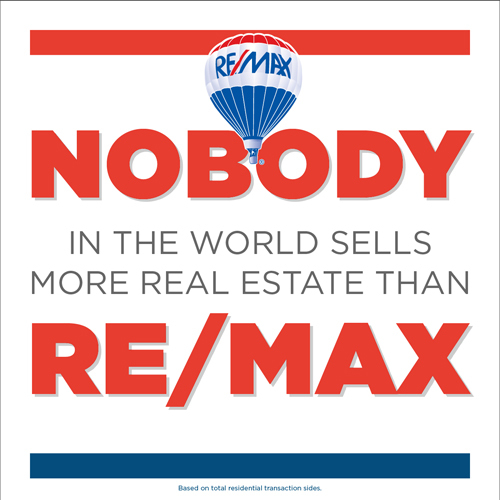 Remember, RE/MAX has over 6,500 offices in some 100 countries. No matter where you move, we can assist you with your home search and ask the title companies to smoothly wire your funds to complete your sale. Don't risk your next move to an agent with low experience in these matters. Call Coleen and David Jurewicz, Brokers (00661096, 00826558) of RE/MAX Gold for a no obligation consultation today at 916.682.6454 or click HERE.